Coming off the successful “Faces of Philanthropy” exhibit celebrating its 40th Anniversary in 2016, the Southwest Florida Community Foundation will launch a new art display at its Community Hub in November. 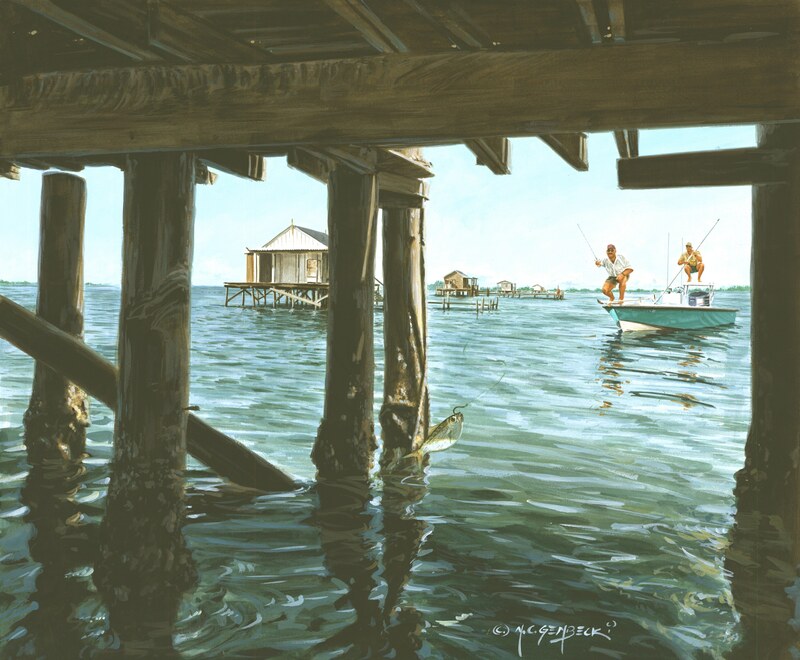 Beginning Nov. 4, “Wide Open Spaces” will feature the Florida outdoors through the eyes of local artists Martin Gembecki and Brad Phares. Buckingham resident Gembecki is a North Fort Myers High School and Ringling School of Art and Design graduate in the field of illustration. After graduation, he worked for local ad agencies before becoming a firefighter, yet remained self-employed as an artist. 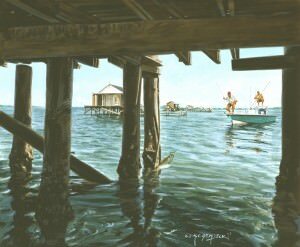 While fishing with friends, he would photograph local wildlife and produce pieces of art based on the Matlacha, Pine Island Sound areas. 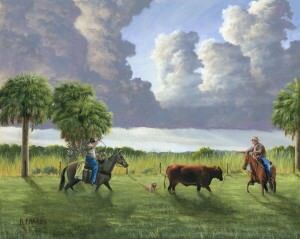 This invitation led to Gembecki to be able to pursue painting what he captured in acrylic, and today he is living his dream of being a Florida cowboy artist. Phares is an eighth generation rancher, artist, poet, writer and attorney from Okeechobee. 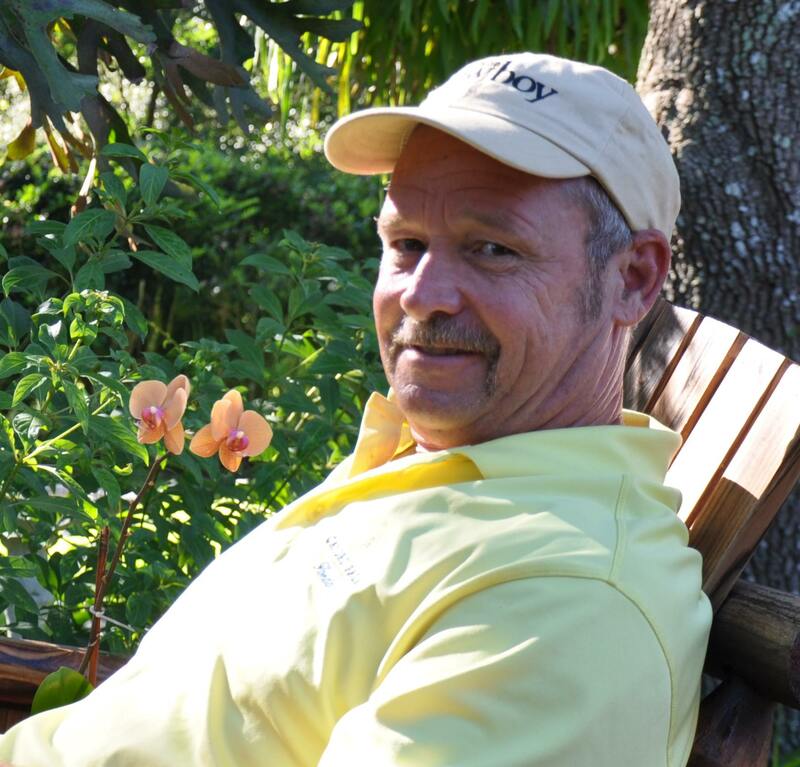 After graduating from the University of Florida with a Bachelor of Science in agriculture and later from St. Thomas University School of Law with a Juris Doctor, he chose to focus on his art rather than pursuing a career as an attorney. 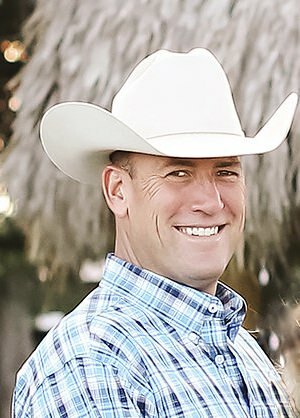 The majority of Phares’ work captures and represents a realist view of ranch life in America today rather than an overly romanticized version that so many people in urban areas hold. 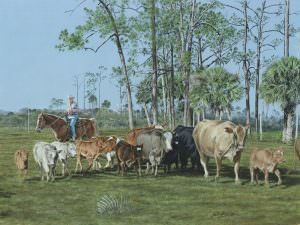 He has exhibited throughout the southeastern U.S., and his paintings are collected by private corporations and public institutions as well as the Seminole Tribe of Florida. The exhibit is open to the public and will run through mid-January during regular Community Foundation business hours: Monday through Friday from 9 a.m. to 4 p.m. Some photos are located in meeting rooms so those interested in seeing the exhibit are asked to call before arriving to make sure all areas are accessible. The Community Hub is located at 8771 College Parkway, Building 2, Suite 201 in Fort Myers. As leaders, conveners, grant makers and concierges of philanthropy, the Southwest Florida Community Foundation is a foundation built on community leadership with an inspired history of fostering regional change for the common good in Lee, Collier, Charlotte, Hendry and Glades counties. The Community Foundation, founded in 1976, fosters collective leadership, inspires social innovation and connects donors and their philanthropic aspirations to address the evolving community needs in our region. With assets of more than $93 million, the Community Foundation has provided $67 million in grants and scholarships to the communities it serves. The Foundation serves as the backbone organization for the regional FutureMakers Coalition and Lee County’s Sustainability Plan.